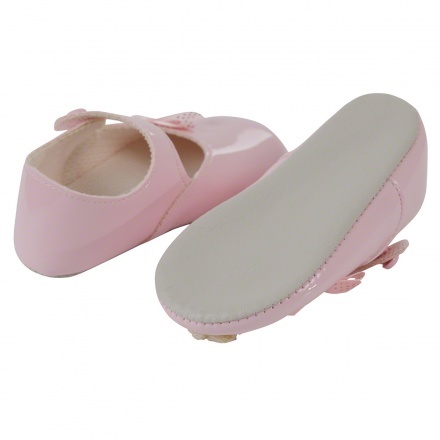 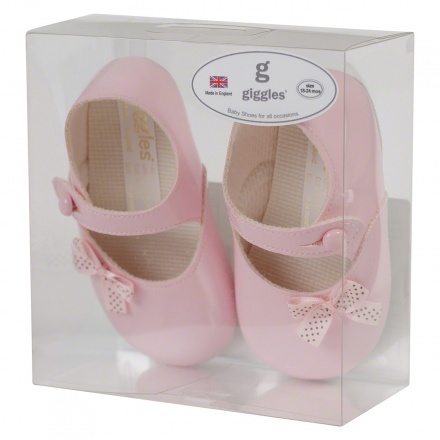 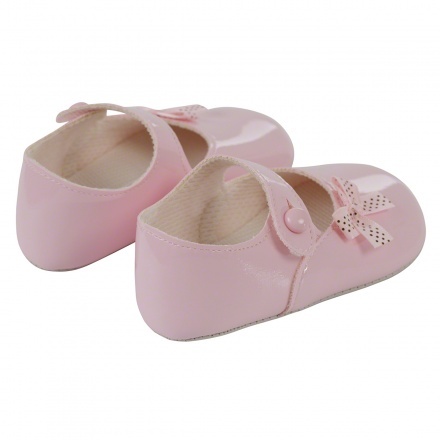 The easy button and loop closure will tuck her feet securely inside, while the soft and flexible construction will carry her comfortably wherever she may want to roam. 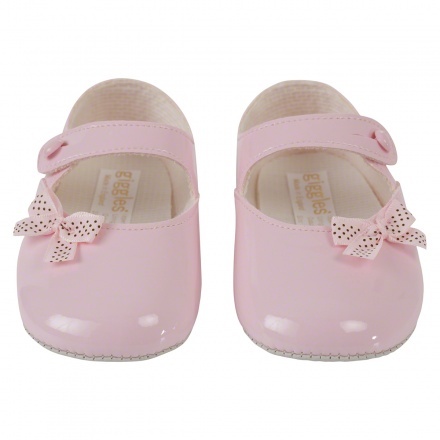 With the polka printed ribbon bow on top, she'll fall in love with this pair in no time. 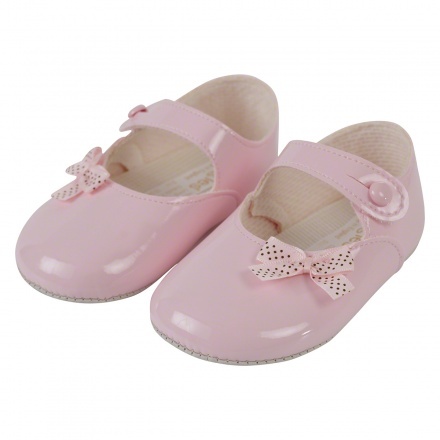 Features : Upper - polyurethane or polyvinyle choride, Lining - Polyester or Nylon, Outsole - polyvinyle choride.